I promise, this is the best book ever written about the Libertarian Party! Over 3,000 copies sold or given to prospects. A quick and easy read. Buy yours today! Available at Amazon.com and Barnes and Noble. Buy at a discount in bulk at my personal store. Click here. If you're really motivated, buy 1 copy for $1,500 and become a Lifetime member of the Libertarian Party! 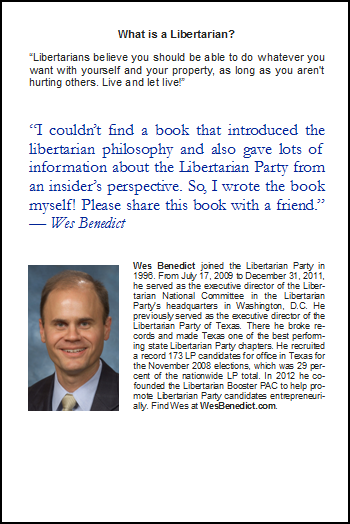 back cover of "Introduction to the Libertarian Party"
Chapter 2: What is a Libertarian? Chapter 15: Why run for office as a Libertarian? I’m jealous at how good this book is! 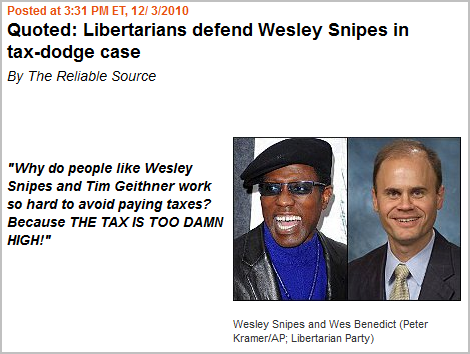 And I’m even more impressed by how deftly it charts its way through libertarian intramural minefields. I was poised to start a list of statements that I disagree with, and I never found anything to start the list with…. Most of the chapters would be great as standalone readings for those particular topics, and I hope the author releases them for redistribution, so they will be read more widely than even this instant classic will be. 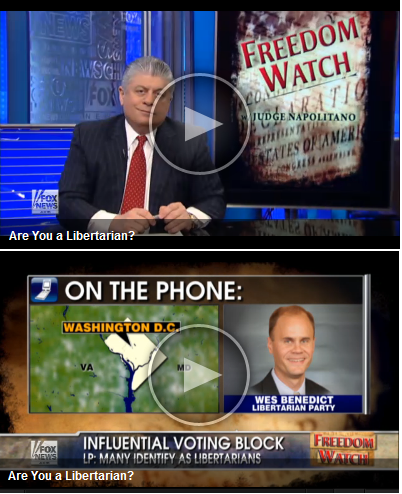 On February 4, LP Executive Director Wes Benedict appeared on FOX's Freedom Watch with Judge Andrew Napolitano. 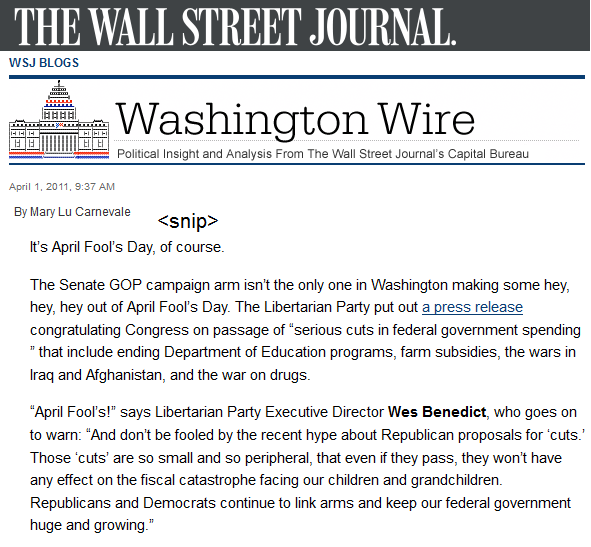 Hundreds more stories by or about Wes Benedict at LP.org.